We have turned to these books from time to time, usually when we are in parenting crisis mode trying to understand how to do what we signed up to do. The books are extremely useful in helping us feel better about ourselves and our children. 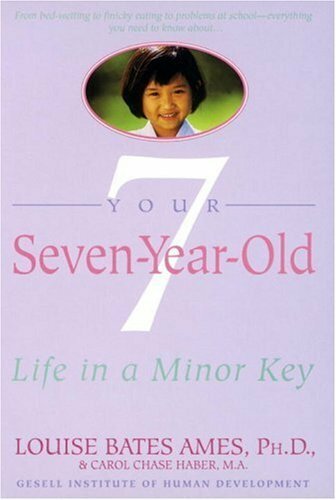 My wife and I were relieved the other day to find answers to perplexing parenting issues in the book, “Your Seven Year Old: Life in a Minor Key.” It provided exactly the answers we needed to explain the mysterious and baffling behaviors we have recently encountered with our two seven year olds. Some of the behaviors listed in the book shocked me because I found that I was going through many of the same things! I quickly searched Amazon for the parenting book for my age group and was disappointed, to say the least, when I found that the series ends at fourteen years old. 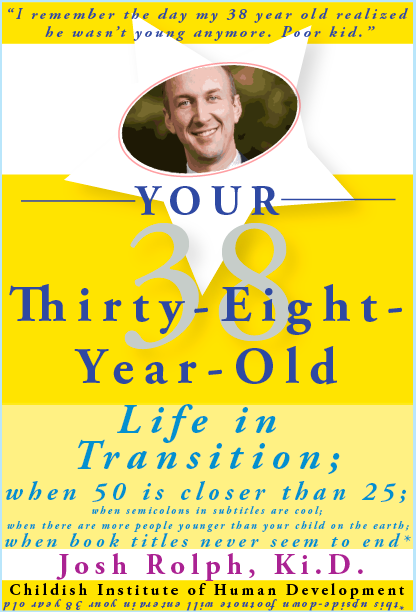 Turns out, I apparently wrote a book about my age some time ago (I can’t remember when; forgetfulness is one of the signs of my advanced age). I have to say that once I got past all the semi-colons in the long but comprehensive subtitle, it is a fascinating book. I spent every minute tonight reading it and learning how to parent myself. This book cover may not be funny to you, but my seven year olds enjoyed it. 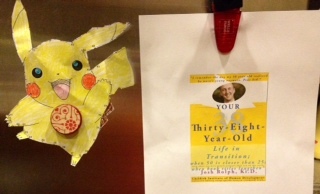 And my wife put it on the fridge. The cut out to the left is my seven year old’s artwork. I just realized the yellow theme we have going on. Haha — My head on pikachu…maybe I’ll save that for the dancing guy spinning the sign on the curb outside the convention. I’ll send you a copy after it gets un-seized by Somali pirates who hijacked the first edition a few days ago. Real bummer. 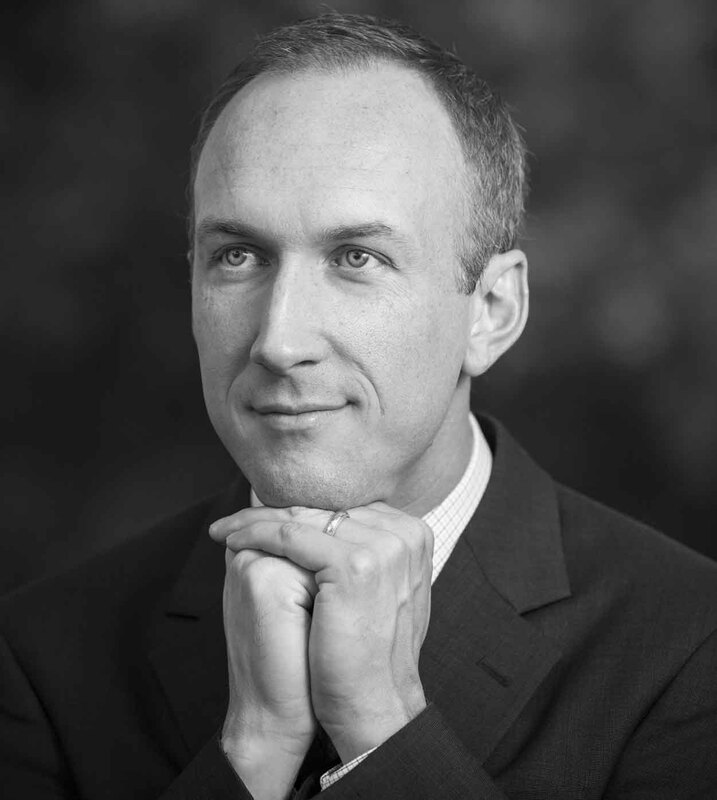 Good thing Captain Tom Hanks is nearby, though. We can only hope.